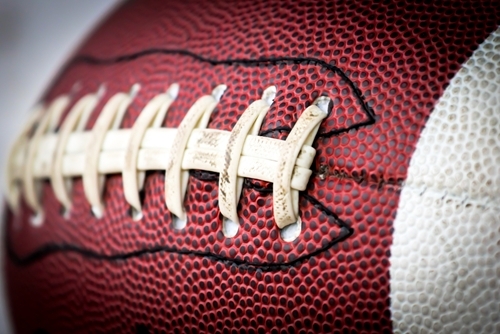 Super Bowl Sunday is near, and like every Super Bowl of past years, friends and families will gather around the television to cheer on their hometown teams, debate player statistics, eat rich game day food and, of course, watch ads. For some, these advertisements are the highlight of the event, as companies spend millions of dollars for seconds worth of commercial space. To businesses, it’s a huge and often hotly debated investment, one that’s developed into a sort of commercial cult, spawning its own media coverage and driving companies to push the boundaries of advertising humor and creativity. Those curious need only search the Internet for cat herding, Apple’s famed “1984” allusion or Mean Joe Greene to get a taste. While these ads are highly entertaining, the question remains whether they are actually worth the money that businesses put into them. Small businesses that can’t afford a spot may want to celebrate the day by giving out promotional giveaways to commemorate the game, but they should also glean a lesson from those big businesses who will be broadcasting to the rest of the nation on game night. On Jan. 29, Forbes released an article from a founder of a successful advertising agent titled “Yes, A Super Bowl Ad Really is Worth $4 Million.” The next day, another Forbes contributor wrote a response piece that decisively questioned that first statement, entitled, “Are Super Bowl Ads Worth It?” The former pointed to increased sales for some companies and the highly visible opportunity that the Super Bowl provides businesses. The latter pointed to research that suggested return on investment was only truly successful for a fraction of the companies that advertised. Like any other kind of advertising, it seems that sometimes it works, and sometimes it doesn’t. Success in part seems to depend on the quality of the company as well as the entertainment, memorability, message and content of the ad. In short, it pays to be self-aware and strategic with one’s marketing strategies. While that conclusion seems self evident, the lesson to be learned here is one that small businesses may often forget, and that’s that there really isn’t a silver bullet for marketing. It’s important that companies remember that, especially when they’re struggling to get off the ground or make themselves more visible in the public eye. Putting that lesson into action means developing long-term strategy goals, given careful consideration to the purpose of a a certain piece of advertising and constantly evaluating marketing tactics. For Super Bowl Sunday, however, businesses looking to get some last-minute fun in before the big day may want to hand out some promotional items, or even just some simple game-related gifts, such as promotional coasters or food. Promotional products can also be used not just as giveaways, but as prizes for contests. This strategy will be more engaging for consumers and companies alike. Organizations can give awards for people who correctly predict the outcome of the game, name the most valuable player or guess the final score. To give it a more business-appropriate theme, the contest could even involve people guessing the best Super Bowl ad as determined by the CEO. Of course, one of the best ways to enjoy the game is by hosting a party. Bringing employees together may be a good way to encourage bonding among staff, resulting in a better team dynamic in the office. This option may be the best for organizations that can’t mobilize their own advertising tactic by the time of the game.